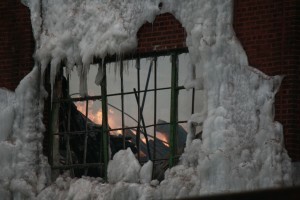 Day 6 of the warehouse fire which began last Tuesday night and responded to by more than 200 firefighters in freezing temperatures. 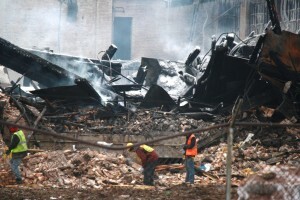 Sunday Chicago Fire and Police department personal are still keeping a close eye on the conditions and remain on the scene. 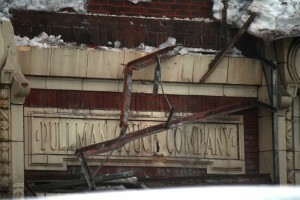 Sunday morning demolition crews continue to work on the 100 plus year old Pullman Couch Company building. Located in the 3800 S. block of Ashland avenue. Ashland remains closed at 38th Street in the Southside neighborhood.